U.S. currently has the second-largest men's team headed to London. 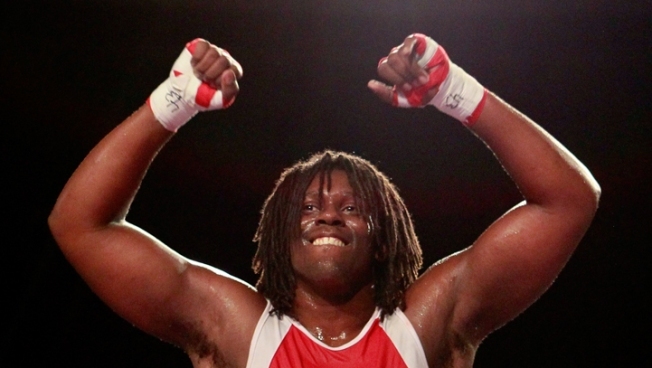 Six more American boxers have qualified for the Olympics with winning performances at a qualifying tournament in Brazil, allowing embattled USA Boxing to send an impressive nine fighters to the London Games. Including three boxers who qualified last year, the U.S. currently has the second-largest men's team headed to London. That's more fighters than any nation except Australia, which will send a boxer in each of the 10 men's weight classes. It's more than traditional amateur powers Cuba and Russia. Light welterweight and American team captain Jamel Herring qualified this week at the AIBA Americas Olympic Qualifying Event in Rio de Janeiro. He says the performance is a message to the amateur world that USA Boxing isn't finished. Americans have won just one gold medal in the past three Olympics.